"My mother made this for Thanksgiving. 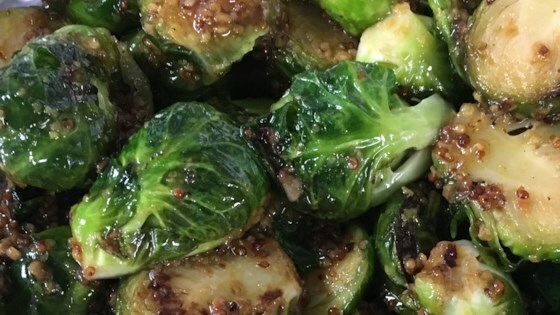 It's a wonderful twist on Brussels sprouts!" Place Brussels sprouts into a saucepan filled with lightly salted water. Boil over medium high heat until Brussels sprouts are just tender, 8 to 10 minutes; drain. Mix butter, honey, Dijon mustard, dill weed, and onion powder in a large bowl. Toss Brussels sprouts in mustard mixture to coat. Great tasting idea! I halved the butter, halved the honey and doubled the Dijon mustard. Delicious! I made this exactly by the recipe. My 9 year old son ate 3 huge servings and would have eaten more if there was any left. Excellent recipe. Its a keeper with the whole family.